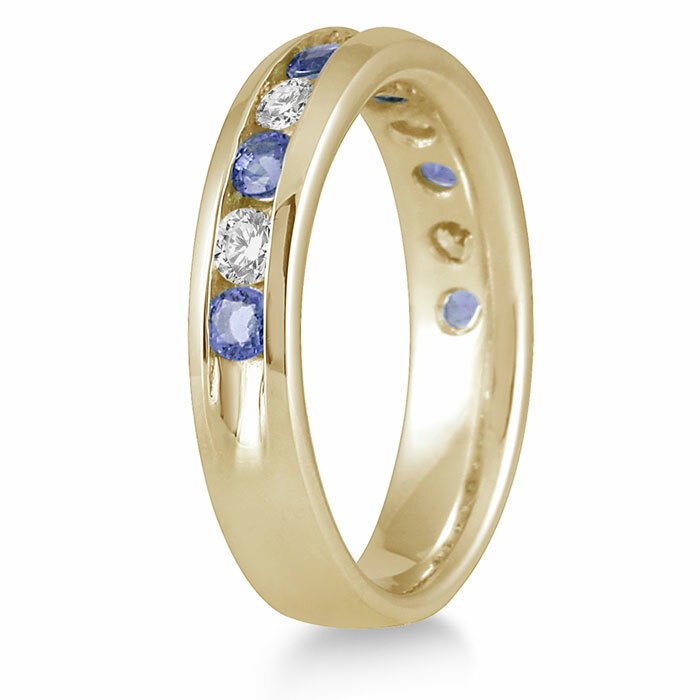 This 3/4 Carat Tanzanite Diamond Band Ring in 14K Gold is a trend-defying style, perfectly pairing a unique modern gem with the abundant sparkle of the most classic of stones: the diamond. Three-quarter carats of small round tanzanite stones are channel set into this ring, providing splashes of color that are unlike that of any other gemstone. With a vivid blue glimmer and just a hint of violet, these gems call to mind the color of the petals of a cornflower as they provide this ring with exotic beauty. Nestled in between these blue stones are small rounds diamonds that offset the one-of-a-kind hue of the tanzanite with their timeless, colorless dazzle. 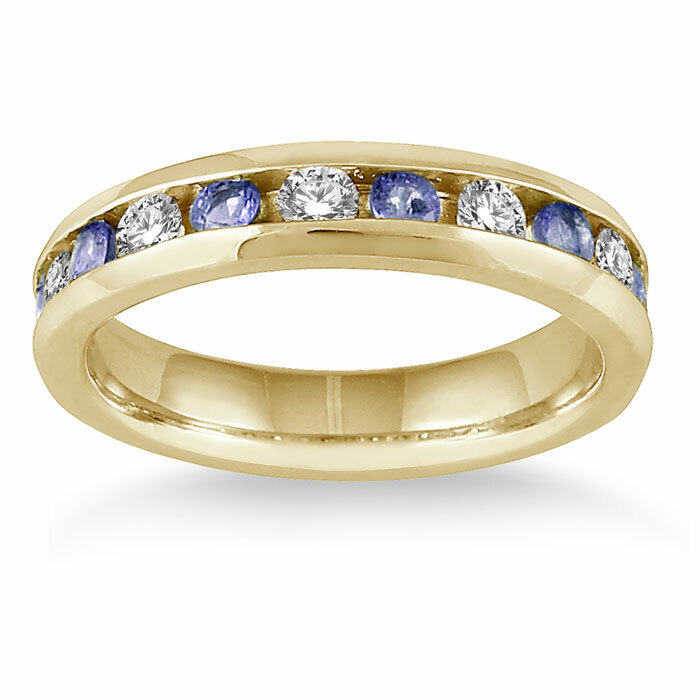 This 14K yellow gold tanzanite and diamond ring has a streamlined style that makes it gorgeous on its own, as well as a perfect piece to pair with other rings to create a contemporary stacked look. Whether you wear this ring solo, with another similarly-styled gemstone ring or with a plain yellow gold band, this piece has trend-defying class. This sophisticated band would also be an excellent way to commemorate a special anniversary as it offers an innovative twist on the eternity band, perfect for celebrating love that's a treasure. 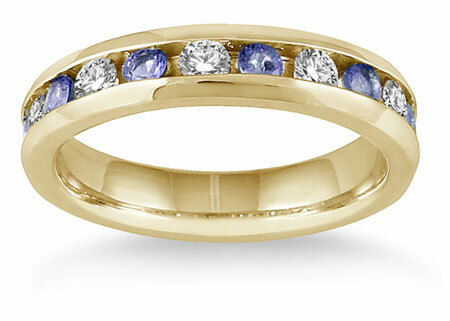 We guarantee our 3/4 Carat Tanzanite Diamond Band Ring, 14K Gold to be high quality, authentic jewelry, as described above.